Our pure Arabian Jasmine Absolute Oil is used for curing depression, headache and dullness. It is also helpful in providing relief from various eye complaints. The oil that we offer is extracted using the latest extraction process in a very hygienic condition. 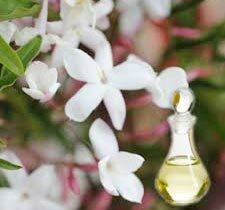 We make available bulk quantities of Arabian Jasmine Absolute Oil in safe packaging and at very affordable rates.